You are here: Home / Nutrition and Diet / Ask Doctor Popp: Is acetaminophen potentially deadly? Ask Doctor Popp: Is acetaminophen potentially deadly? Yes, if over-used, acetaminophen can kill you. Although Dr. Jeffrey Popp hasn’t researched all the risks, the medical community widely believes acetaminophen, often marketed as Tylenol, is the world’s leading cause of liver failure. Here’s how it works. Visualize a graph where the column on the left represents closeness to death. The scale climbs from 1 (alive) to 10 (dead). Along the bottom is the number of milligrams of a drug. They increase from 1 to 10 also. “Usually, for each milligram of a drug, you take one small step closer to death. So 1 mg of a drug means a 1 on the scale of near death. Two mg means 2 near death and so on,” Dr. Popp said. There’s a 1-to-1 relationship between the number of milligrams and the closeness to death. 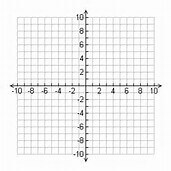 To chart that on your graph, you’d draw a 45-degree line from the bottom right corner to the upper left corner. But Tylenol doesn’t work that way. 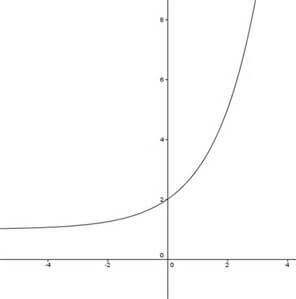 Instead, it follows an exponential curve, which means there’s no longer a 1-to-1 relationship. So when you reach 3 mg of Tylenol along the bottom, instead of it equaling 3 near death, the line goes straight up to 10 (dead). So 1 mg is 1 closer to death, but 2 mg is 5 points closer, and at 3 mg, you’re dead. “There’s no wiggle room with Tylenol. If you go over the maximum a tiny bit, you can die,” Dr. Popp said. Many people believe if they take two Tylenol and their headache isn’t gone in an hour or so, they can take two more. Dr. Popp said that’s dangerous. If you take Tylenol with codeine or another prescription drug that contains acetaminophen and still hurt a couple hours later, it’s better to taker naproxen (Aleve) or ibuprophen (Motrin) because they’re from different classes of drug. “Be cautious. Don’t violate the maximum dose it says on the label,” Dr. Popp said. Have a question for Dr. Popp? Click on the “contact” button on the top of this page or call Dr. Popp’s office at 402-391-4558.